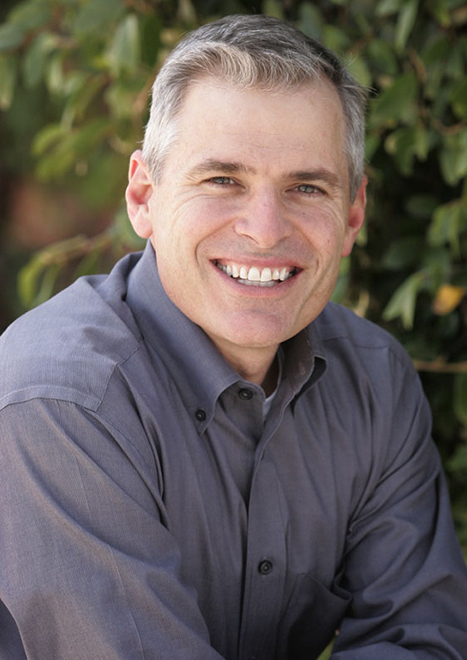 Patrick Lencioni is a best-selling author, speaker and consultant. He has worked with thousands of senior executives in organisations ranging from Fortune 500 corporations and professional sports teams to universities and nonprofits. He is the author of the international best sellers The Five Dysfunctions of a Team and The Advantage, which are weekly fixtures on international bestseller lists; his books have sold over three million copies. Grant Ashfield caught up with him to discuss the concept of Organisational Health and building High Performance Teams. Pat can you please give us some background to the concept of Organisational Health and how you first started developing the idea? Patrick Lencioni: I started out as a strategy consultant and in my work it often felt like we were just rearranging the deck chairs on the Titanic. Dealing only with the strategy felt like we were not really dealing with the fundamental iceberg issues below the surface. My insight was that if the people who ran the company didn’t get along and didn’t know how to deal with one another and if they were not on the same page about the fundamentals of the business, and if everybody else in the organisation was not on board, then it didn’t matter how good the strategy was or the marketing, or anything else for that matter, it really was not going to take. You would get a fraction of the value out of that stuff. So 16 years ago a few colleagues and I started this little consulting firm with the idea that we would just try to help CEOs make their companies healthier. We started writing books and teaching about it and we found that even the most sceptical executives couldn’t really deny that this was at the heart of what they needed to do. Many of them still didn’t want to do it because it wasn’t easy to measure. Nonetheless they could not deny that this was the thing that was killing their organisations. Now after all this time it really feels like there is an organisational health movement underway. You write and teach about the four essential disciplines companies need to embrace to become healthy. Can you talk more about these and how they work in companies? Patrick Lencioni: One company we’ve had the privilege to work with is South West Airlines. The way they exercise these four disciplines is very simple. Firstly, executives treat one another in ways that are not typical. That is they argue well, they trust one another, they engage in good conflict, they hold each other accountable and they are focused on the good of the organisation, not their department. So that is the first discipline – that the leadership team at the top really starts with the way that they treat one another. And that is where humility and transparency, vulnerability, conflict and accountability all come into play. The second discipline has to be concurrent with that and that is you have to also be intellectually aligned. You have to be on the same page in terms of clarity. You have to remove all forms of ambiguity around some fundamental questions. Like why are you in this business and what do you actually do and how are you different from your competitors. Even subtle differences in answers are big problems in an organisation. We try to make sure that they are intellectually aligned, that there is real clarity at the top of the organisation, because if it is not clear at the top you cannot possibly clarify it down below. Thirdly once you clarify things then you have got to go out and communicate the heck out of it. You have got to tell people in the organisation again and again. In South West Airlines, every time I have seen their CEO speak to their employees and every time he writes a letter in the airline magazine and every time he communicates he goes back and reiterates why the company was founded, what they believed makes them different, and how their current situation fits into that context. The most sophisticated leaders would probably think that is childish or repetitive or too simplistic but it is not. The truth of the matter is if you are a CEO you are really also the CRO, the Chief Reminding Officer. Your job more than anything is to remind people why they are there and what they need to do. Too many leaders think they are above that – the great ones don’t. Patrick Lencioni: The fourth discipline is that you have to build all of this into the way the company runs. You have to reinforce it all with what we call your human systems. Basically you have to make sure that your hiring profiles, your performance management, your reward system, and everything you do is not generic or bureaucratic but that it is really practically aligned with clarity. Patrick Lencioni: Yes of course. Take hiring for example. You build a hiring profile by figuring out what your two or three critical values are and then hire for that. In South West Airlines one of their values is humour. They’re constantly making jokes and having fun on their flights, that’s who they are. They built that into their hiring process. They would bring in people to interview like pilots, wearing suits and ties, and half way through the interview process they would make them go and change into shorts and wear their suits and ties with shorts and wingtip shoes for the rest of the interview. Some would find that annoying and leave, and the people at South West would say, “great, we know that was not going to be a cultural fit. If they can’t laugh at themselves this isn’t the right place for them.” So you have to be very creative about putting some structure in place around how you hire and fire and manage and reward that is not generic but aligned with your company culture. So those are the four disciplines. If you can get the executives to treat each other well and work as a real team, get really aligned around what the company is about, communicate it all the time and put just enough structure in place to reinforce it, that’s a healthy organisation. It’s really hard to fail if you have those four disciplines. In The Advantage, you write about this concept of the first team. Why is knowing which team is your first team so important for an Executive and then to building a healthy organisation more generally? It’s very common and very natural for this executive to say “Well the truth is I hired those people, and I sit near to them in the office, and I am a marketing expert and I love marketing and I like being their leader and they expect me to be loyal to them, so I would say that even though I care about the executive team a lot, the marketing team is my number one team”. As natural as that is, it is very dangerous because that is what turns an executive team in a company into the United Nations, where people come together to lobby for their constituents, instead of solving problems for the organisation. If the people sitting around the executive table are not first and foremost committed to the collective good of the team, if they are not coming to the executive staff meetings and not taking off their hat which says Marketing, and putting on a hat which says the overall organisation, they’re not going to be optimising their decision-making for the good of the entire business. Instead they are going to be optimising for the good of their department. When I explain this, these executives say “What am I supposed to do – go to my marketing team and tell them that I no longer care about them, that I would sell them down the river if I had to”? The truth is those people in the marketing department and in every other department that reports to the executives –want the executive team to function like team number one. Because when they don’t they are left to fight what I call bloody and unwinnable battles with other departments in the organisation. They have to go out and navigate politics and disagreements that really should be and can only be settled at the top. You write and teach a lot about vulnerability. This is a very challenging concept in most organisations. Why is it so important, particularly at the top of an organisation where it can be very political? Patrick Lencioni: First of all vulnerability is critical on a team. That means people have to be willing to trust each other. Of course I don’t advocate going into an overtly political environment where there is no trust and being vulnerable, knowing that people are going to take advantage of you. This requires more careful judgment. The truth is if you are on a team that really wants to operate like a team, then the leader has to be vulnerable and has to be willing to go first with this. If you work with somebody that cannot admit when they are wrong, and they cannot acknowledge when you have a better idea than they do and when everything you do has to protect their ego it’s hard to trust them. A well-known CEO I worked with was completely invulnerable. The impact of that was that when they went to meetings nobody ever disagreed with him. When they made decisions people were constantly editing themselves and constantly trying to calculate the political cost of speaking up. Well eventually the company got sold off for a fraction of its worth, they failed in many ways. One of the things that the analysts said about the company was that they had strategic problems. They made mistakes with their products and their marketing. No, those were downstream symptoms of the real problem. The real problem was that there was no trust and a complete lack of vulnerability on that executive team. So it was inevitable that they would eventually make really bad decisions around strategy and marketing and products. It has a lot to do with personal ego too? Patrick Lencioni: Yes and when I talk to leaders what I say to them is this – your people know when you are not right. They know when you are bad at something. They know when you are screwing up. You can either admit it and they will trust you and you will fix things, or you can protect your ego and watch your company swirl down the drain, or at least not become the company that it really ought to be. So being vulnerable is not actually the leap of faith we think it is. But it’s a very practical concept that helps to build better companies? Patrick Lencioni: Right it’s immensely practical, but it feels like a leap of faith the first time you do it. However it is also remarkably liberating. It’s exhausting being the kind of leader that is constantly trying to protect their reputation and manage how people perceive them. Any leader that learns to embrace vulnerability and build it into their team finds that coming to work is more fun, conversations are faster and more to the point, problems get solved quicker and people go home at night not having to complain to their spouse about the nonsense they deal with at work. That’s worth it right there. Pat over the years you have worked with so many successful leaders. What has made these people successful – are there a common set of key attributes that has made them the leaders that they are? Patrick Lencioni: I think that the two things that make leaders great are that they are humble and that they know that they are not a more important person than the people they lead – but they also understand that they really do need to demonstrate leadership. They can carry these two contrary sounding ideas at the same time. One, I am not a bigger deal than the people I lead, but my words and actions actually are really important and are kind of a bigger deal than the people that I lead. Most people think that they have to do one or the other. It’s either I am a pretty big deal so I am not humble, but I am good at being a public leader and taking a stand, or I am humble and as a result of that who am I to get up and lead? It is rare to find a person that can be both humble and really public about their leadership. That they really want to get things done but they don’t somehow let it infect them with a sense of ego or entitlement. I will use Gary Kelly, the CEO of South West Airlines because we’ve been talking about them. He runs the biggest airline in the United States, third biggest in the world, and you wouldn’t know him if he walked into the room today and poured you coffee. Because he is just not about ego. He started out as an accountant at the airline and he just kind of rose up the ranks because he is a humble, hard-working guy and he has no desire to be famous. He just wants to make sure the company is a good place to work and a good place to fly. So I would think it’s not just humility, it’s humility with a desire to achieve something. Finally Pat we work with executives who are already achieving at a very high level. Many are also preparing for the next phase of their careers … to run really big companies. How should they be thinking about their role as leaders? As you grow higher in the organisation I think the most important thing you can do is get really comfortable with being honest, and transparent and courageous in a quiet kind of way. When we work too hard to manage our careers it’s very tiring, exhausting and it actually sets us back. If you can be one of those people who speak the truth and who doesn’t worry too much about how the chips will fall and how people are perceiving you, you will become very effective in an authentic way. Courage is the most important thing. You got to this point in your careers because you did the right things. Now realise that it’s not the right time to start worrying, it’s actually the right time to start confidently stepping into the middle of difficult situations, calling them out for what they are, being vulnerable and truth-telling and success will find you. This is really a crucial aspect of leadership as you get higher in an organisation. Thank you Pat it has been great talking to you. Do you have a toxic working environment? Are your teams breaking off into silos? Gain one of the last great competitive advantages for your team, the advantage of Organisational Health, with the Advantage Senior Leadership Programme. Click here to find out more. 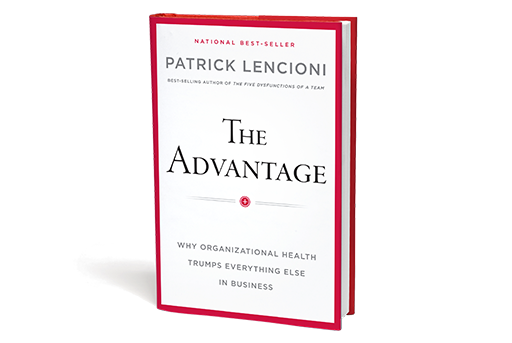 LeadershipWorks are Patrick Lencioni’s exclusive consulting partners in Southern Africa. Our consultants’ custom design and lead a unique process that ensures the long-term establishment and adoption of organisational health. You can download this interview in a .pdf version below.